So if you have been keeping up with me over on instagram, you most likely saw that a few weeks ago I went to Zambia. This was my first time to Africa and I can’t even put this trip into words. The first part of our trip was service based. I was there with Somewhere Devine partnered with I Am Zambia. 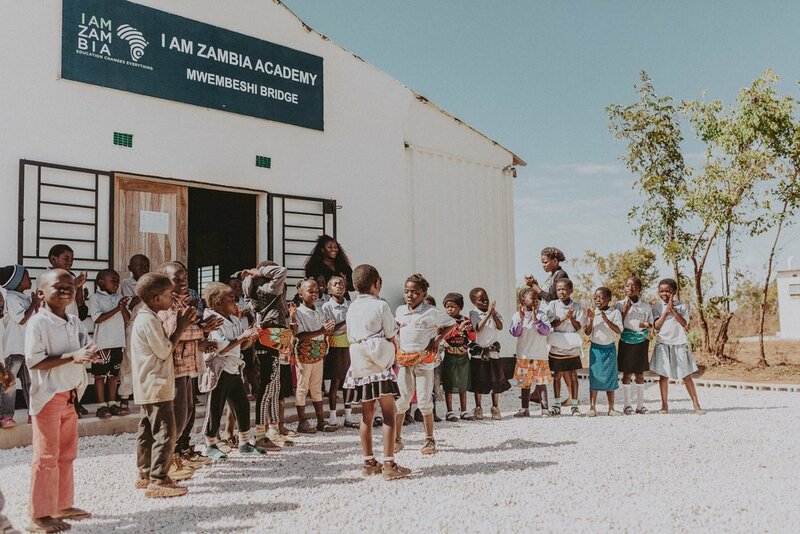 I am Zambia is a small but mighty team, building schools, staffing classrooms and empowering young Zambians to launch, develop and grow self-sustaining businesses. The Somewhere Devine group and I were there helping to build the I Am Zambia Academy and the Harper Anne Clinic in Mwembeshi outside of Lusaka. I have never felt so much joy or so much sorrow than I have on this first part of the expedition. I left each day with my face literally hurting from smiling and my heart hurting in ways I didn’t think it could. Part of I Am Zambia’s motto is "If you educate a man, you educate one person. If you educate a woman, you educate a nation.” I Am Zambia focuses on providing no-cost, supplemental entrepreneurship education to girls in Lusaka and surrounding areas. With more than a decade of on-the-ground humanitarian experience and the support of a highly qualified local staff, I Am Zambia is piloting a lean, holistic, outcome-based educational model that prepares girls to find success in the global marketplace. 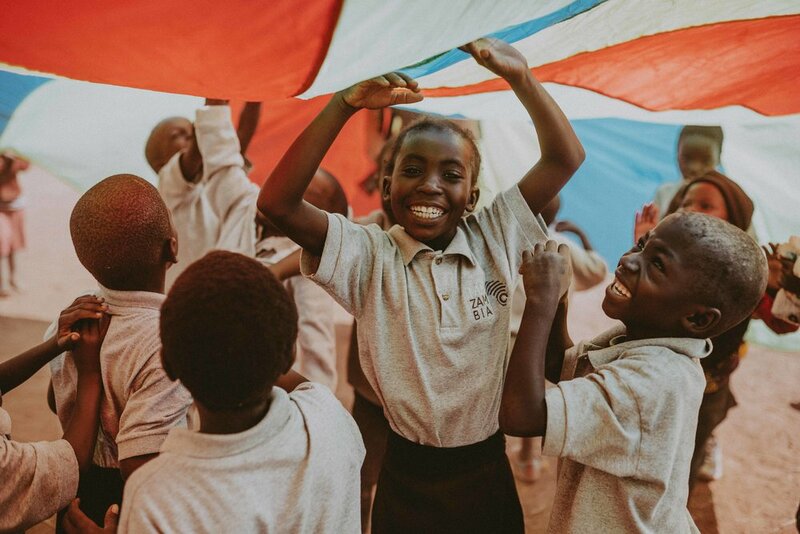 Their soaring objective is to make dreams come true, to give Zambian girls the education and confidence they need to thrive. Educated girls can lift their families, and their communities, out of poverty. One of the many projects I Am Zambia has already put in place to reach their goals, is a bakery they started to employ some of the girls from their technical school called the Bless Up Bakery. 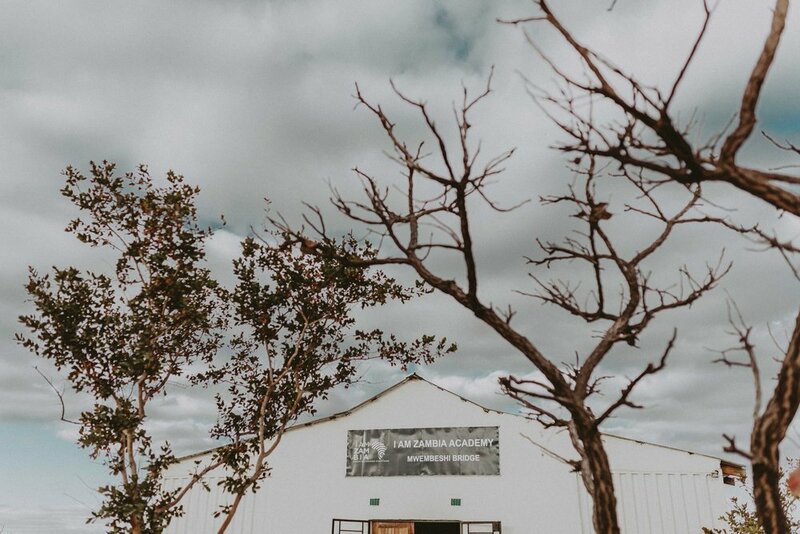 We had the privilege of having a few of the girls from the bakery show us around the compounds and take us into their homes so that we could see more first hand the living conditions of those in Zambia. The children run through the streets, barefoot, barely clothed, and haven’t eaten or had water in days. Getting to hear the stories of these teenage girls first hand, left me speechless. They are not even able to leave their house to use the restroom at night because they have no electricity and therefore, no way to see, and even if they could see, there is always the fear of being kidnapped and put into human trafficking. One of the homes we visited, had six kids and they all slept in one room (the house itself is only one room) on the hard ground, no blankets or pillows. If this wasn’t heartbreaking enough, their mom was telling us that they were getting kicked out and would soon be homeless because they are two months behind on rent. Their rent was equivalent to $40 USD. FOURTY DOLLARS. We went into a few homes to visit some individuals suffering from sickness and diseases because they do not have access to doctors or medicine. One of the mothers we visited was complaining of a migraine, we quietly sang her “You Are My Sunshine” and prayed that she would feel better. Just two days after our visit, she had passed away. Heartbreaking. After visiting different compound communities, we went to some of the local orphanages. Here we got to hold the babies that were left for dead on the door step, some just days before. No words can describe the love you feel and receive from those children. 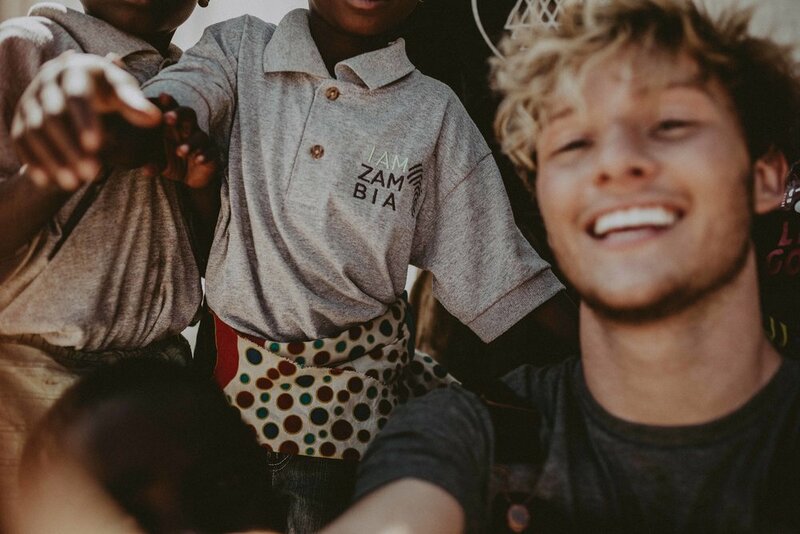 Still through all of these trials, the people in Zambia walk around with the biggest smiles on their faces. Seeing the way that these amazing people in Zambia are living and dealing with the trials of poverty, is truly life changing. I for sure left Lusaka a changed person. The second part of our expedition was a lot less emotional. We couldn’t go all the way to Africa and not go on a safari, right? We took a small chartered flight to Livingstone, Zambia and our hotel was literally a 5 minute walk to Victoria Falls, one of the natural wonders of the world. The first day we got to our hotel we all walked to the bridge and did zip lining across it. Most of the people in our Somewhere Devine group did bungee jumping off of the bridge as well, but their was NO way I could do that. Maybe next time, haha. Victoria Falls was BEAUTIFUL! One morning we put our swimsuits on and ran across the very very misty bridge (different than the bungee jump bridge). All the mist and sunlight was making so many huge beautiful rainbows. HOWEVER we were freezing. Despite what you might think, it’s actually winter in Zambia right now, so it was not the warmest time to be barely clothed by an ice cold waterfall. Our safari excursion actually had us in Zambia, Botswana, and Zimbabwe. (I was so excited that now I can say I’ve been in three countries in Africa). You can see in the video at the very end of this post, just how excited I was to be going on a safari excursion in Africa, haha. The safari was seriously unreal. We saw so many elephants, giraffes, hippos, and countless other wildlife. I am so thankful to have met and got to work with Diane and Heidi of I Am Zambia, the work they are doing in Zambia is truly inspirational. 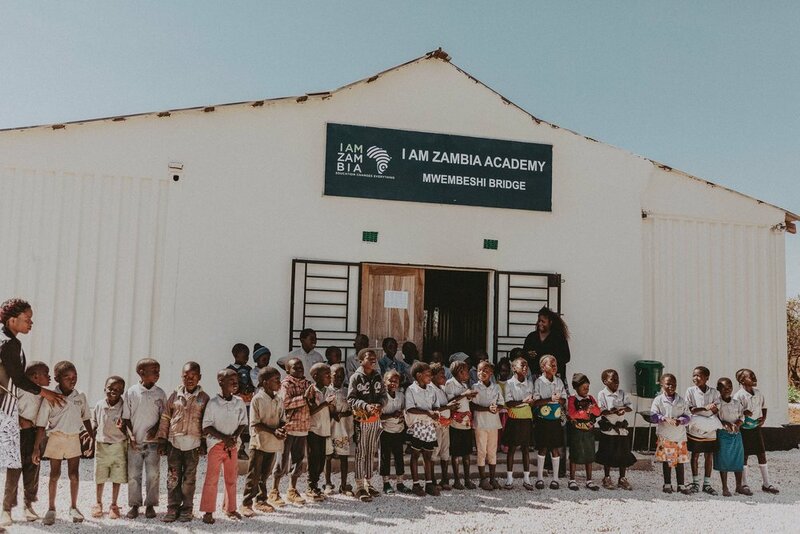 Please check out I AM ZAMBIA’s website (https://www.iamzambia.org) to learn more about this AMAZING organization and to get involved or to donate. Also so thankful to Hailey and Brad Devine of Somewhere Devine, for inviting me on this expedition. Check out Somewhere Devine’s website (https://www.somewheredevine.com/expeditions) to check out their expeditions they go on and how you can get involved! I am pretty sure they announce the next expedition location/service project in November! Don’t miss out on applying. Hope you enjoyed this post and all these photos, I know I sure do. When we were building the clinic, Tyler, Me, Allison, Aspyn, Marla, Brea, and Cody I created a “Southern Family” full of all of our southern alter egos and it was hands down one of the funniest parts of the trip! Our southern alter egos names were (from left to right) Bert, Tyler, A-lice, Apyn, Meryl, Brindle, and Coder. This was our awkward family photo we took after doing our southern accents for literally 5 hours straight! On our way to the safari, we kept playing "Africa" by Toto. We were all BELTING it and having so much fun! My friends Tyler and Allison with Happy Camper Films make this video of us all singing along, can you tell I hate attention?